We’ll change the way you think about reporting. As the market’s leading provider of spend tracking and reporting solutions, we’re confident that in just 15 minutes you’ll be able to see the difference. See what MediSpend can do for you, schedule your one-on-one demo below. What are your compliance needs? Gain an understanding of MediSpend's offerings during our one-on-one demos. Fill out our form to the right and we will schedule a demo for your specific needs. MediSpend’s market-leading, cost-effective and proven solutions are improving global compliance for the life science industry. 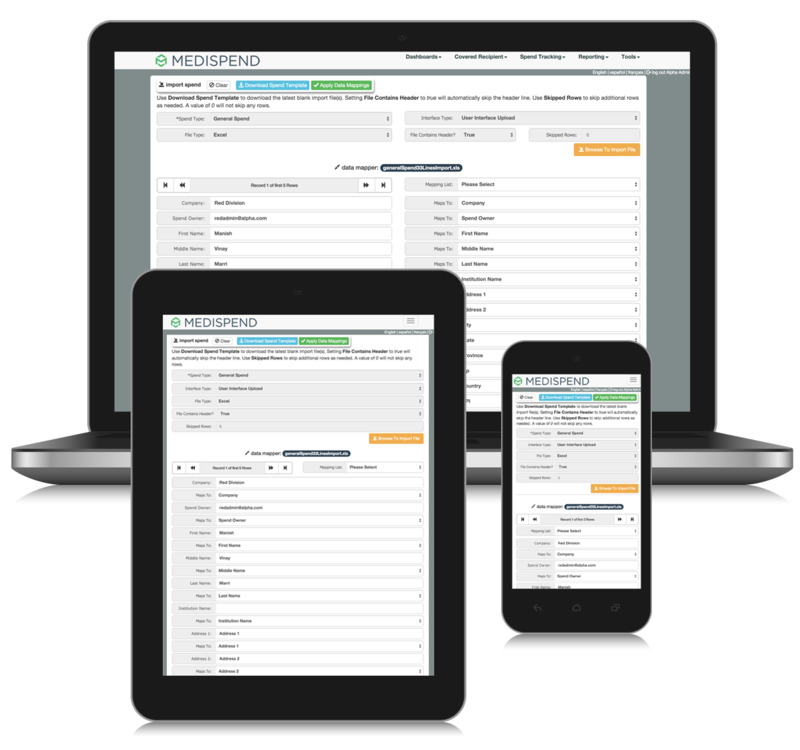 Our all-in-one compliance platform will improve your collecting, tracking, and reporting of spend data.